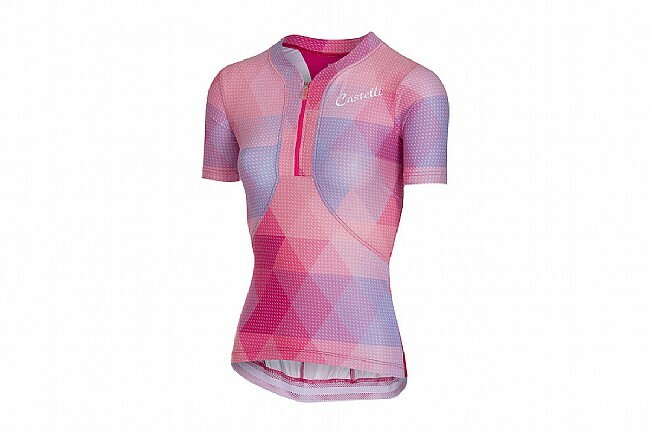 Castelli’s Women’s Alba Jersey is a lightweight, short sleeve cycling jersey made from Invita Light stretch fabric with cooling mesh inserts on the neck and sides of the torso that will save the day when the temperature creeps toward uncomfortably warm. 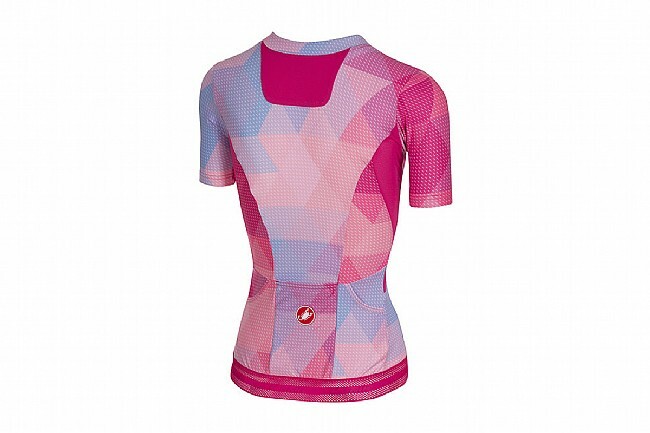 Three rear pockets offer easy storage for all your training and racing essentials, like nutrition, cash, etc. The half-length front zipper offers additional ventilation - so you can zip/unzip to your heart’s content - while the sculpted neckline and perforated elastic waist ensure maximum comfort and fit. Season: Warm weather (64 to 86°F). Ventilation: Yes, neck and sides. Fabric(s): Invita Light stretch fabric w/ mesh fabric inserts.